which was founded by Spolin's son, Paul Sills -- is the most notable of the companies that exist because of Spolin and her work. Other Chicago theatres based on Spolin include i/O and the Annoyance Theatre, and such other celebrated companies as the Upright Citizens Brigade and the Groundlings also owe deep debts to Spolin. Add to this the THOUSANDS of other improv companies in the United States and around the world that can trace their beginnings to Spolin's work, and you're talking about a text whose impact on world theatre can only be guessed at. 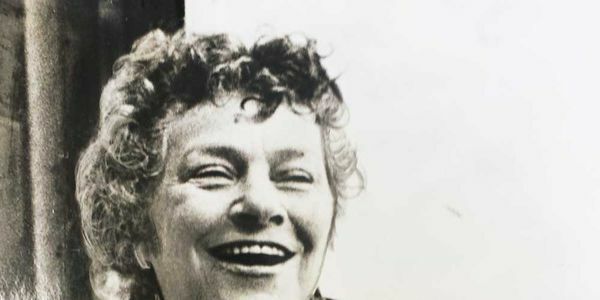 These are more than sufficient reasons to give Viola Spolin her due in the American Writers Museum, and we the undersigned so urge the Museum. This morning, we're more than halfway there. If everybody who has signed gets just one more person to sign, we'll be over the top. Passing along the URL and urging others in the community to join us will get this done. If it happens, maybe we can get them to throw a party in honor of her installation in Chicago and a lot of us can see each other. We're now at 478. If more people shared the URL, I think we could zip home to 1000 in a few days. Your help would be much appreciated! We're at 320, which is swell, but not quite a third of our target -- 1000. I know that this country is FILLED with improvisers, people whose lives have been enriched by work that began with Viola. It's not like I'm trying to raise money to build a statue or something. So, if you can share the link ... It should be that the more people who sign, the fast the word goes out. If everybody who has signed can get two other people to sign, we're in shouting distance of the goal! We're up to 152 signers. I'd like to get to 1000 and send this on to the Museum. So please encourage friends to sign. Maybe, if the Museum gives way, we can get them to do a ceremony for the installation of the banner and turn out the improv community to celebrate. Good for our community, good for a museum I otherwise admire.